The Solow Art and Architecture Foundation is located on the ground floor of the Solow Building at 9 W. 57th St and is registered as a non-profit with a mission to display art to the public, however the exhibit is never open to the public, Crain’s reported. Sheldon Solow has had tax exempt status for his art foundation since 1991 and has received federal tax breaks since its inception. As of 2015, the small museum boasted an enviable collection of artwork by household names including Jean-Michel Basquiat, Sandro Botticelli, Henri Matisse, Joan Miró and Vincent van Gogh, Crain’s reported. This and other situations got the attention of lawmaker Senator Orin Hatch (Utah- R) who in 2016 ran a review of tax exempt private exhibitions. His review concluded many of these private non-profit exhibitions welcome upwards of half a million visitors a year, while some are rarely available to the public. Solow began using a work by Spanish artist Joan Miró as a selling point for 685 First Ave, rental and condo building nearing completion between East 39th and East 40th streets. If this work was purchased by Solow personally and then donated to his art foundation, at least part of its value could have been deducted from the developer’s federal income taxes, Crain’s explained. As of 2009 the Miró had a fair market value of $54 million, according to the earliest public disclosure forms available. Five years later, the most recent form to mention the triptych indicated it had a fair market value of $40 million. 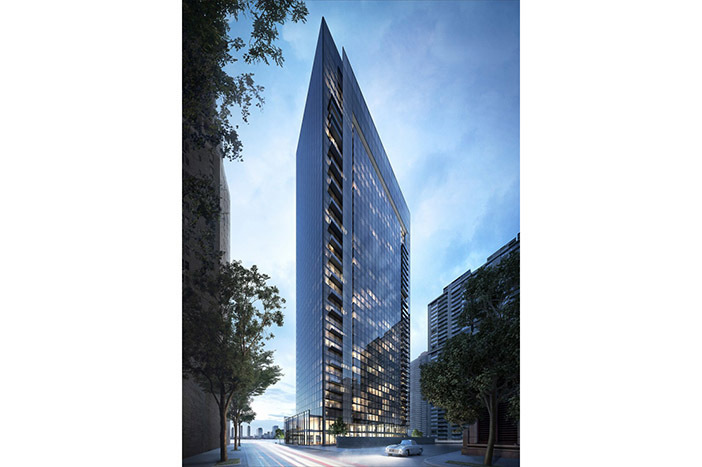 The building on 1st Ave is comprised of a mix of rentals and condos that are separated by a terrace located just above the 27th floor; the lower portion of the building will contain 408 rentals, and the upper section will contain 148 condos, the Jewish Voice reported earlier this year. Sheldon Solow is a veteran Manhattan real estate developer, and the CEO of Solow Realty & Development and an affiliated company, Solow Management, the Real Deal reported. Forbes estimates his net worth at $3.6 billion. He began his real estate career in the early 1970’s. He also owns a portfolio of East Side rental towers and is known for being reclusive.